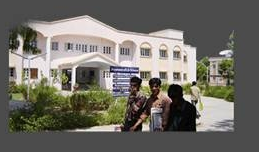 The Department of Life Sciences, a premier academic and research institute in the North Gujarat region. The department is multidisciplinary in nature. The Department was established in November 1998 to cater the need of this region for the higher education in the field of science and technology. The department has the progressive journey with 15 students of Microbiology seating in temporary premises to the current strength of 180 students in different programme within a state of the art premises. Bio informatics, GIS and Computer Lab. Botanical Garden : Botanical garden was established in July, 2004 for the Purpose of academic and research in plant science, in situ conservation of endangered plant species and Cultivation of medicinal plant species. The garden spread over the area of approx. 4 hectors of land with available flora of more than 250 plants including different Herbs, Shrubs, Climbers and tree species. The garden is also equipped with net house and experimental plots. General instruments : Laminar air flow, Microscopes, Horizontal autoclave, Ovens, Vacuum oven, Incubators, Environmental shaker, BOD incubators, Centrifuge, pH meter, Conductivity meter, Spectrophotometers, Water analysis Kit, Peristaltic pump, BOD Monitor, Digital electronic balance, Flame photometer, COD digester etc. Sophisticated Instruments : Computerized UV Visible spectrophotometer, Electrophoresis system, , Gas Chromatography, AAS, Cooling Centrifuge, , BIOLOG, HPTLC, Nano spectrophotometer, Gel doc system, 2D gel, Fermenter, etc. This page was last modified on 14 August 2015 at 15:08.